Astronomie - Why Do Some Galactic Unions Lead to Doom? Raumfahrt-History - Did you know Israel sent a rocket into space in 1961? 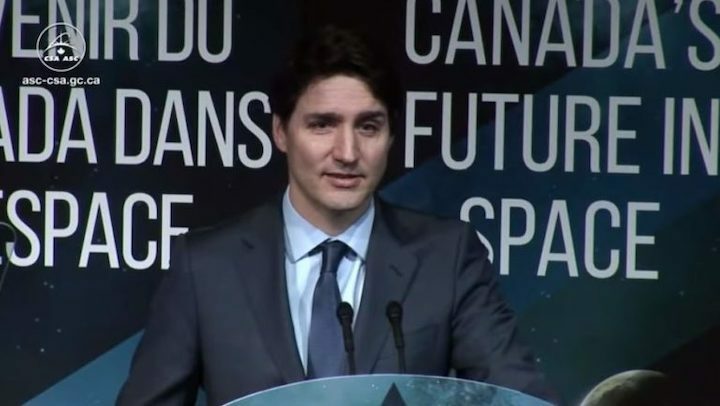 Canadian Prime Minister Justin Trudeau announced today that Canada will be a partner with the United States in building a Gateway in lunar orbit as part of plans for human and robotic exploration of the Moon. The agreement builds on decades of space cooperation between the two countries, including the robotic Canadarm for the space shuttle and Canadarm2 for the International Space Station (ISS). Today’s agreement is for Canadarm3 that will be used for repairing and maintaining the Gateway. The Gateway is envisioned by NASA as a small space station orbiting the Moon that will serve as a transfer point for astronauts traveling between Earth and the lunar surface. NASA Administrator Jim Bridenstine likens it to a reusable Command Module from the Apollo program. During the Apollo lunar landing missions, one astronaut would remain in the Command Module orbiting the Moon while two others landed using the Lunar Excursion Module. They would then lift off from the surface and rejoin the Command Module for return to Earth. 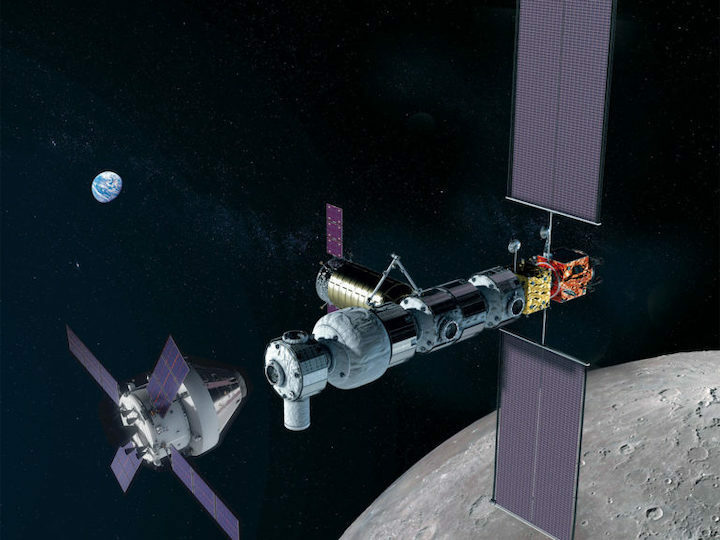 In this concept, the Gateway would remain in lunar orbit for up to 15 years, with astronauts arriving on Orion spacecraft and transferring to lunar landers at other docking ports. Someday, it or a successor could be the transfer point for astronauts headed to Mars. Congress just approved $450 million for NASA to proceed with the Gateway in the FY2019 budget, which is about 10 percent less than the agency requested ($504 million). NASA’s goal is to create a sustainable architecture together with international and commercial partners to support permanent lunar operations. It has been discussing potential lunar cooperation with its current ISS partners — Canada, Japan, Russia, and Europe — for some time. Canada is the first to formally accept the invitation. Canadian Prime Minister Justin Trudeau announcing agreement with NASA to build the lunar Gateway. Feb. 28, 2019. Screengrab from Canadian Space Agency TV. The Canadian Space Agency describes Canadarm3 as a “smart robotic system” that will be used to repair, maintain and inspect the Gateway; capture visiting vehicles; relocate Gateway modules; help astronauts during spacewalks; and enable science in lunar orbit and on the surface. Except for the last function, it will perform essentially the same tasks as Candarm2 on the ISS. Canadian astronaut David Saint-Jacques is currently aboard ISS. In a video link to the press conference in Montreal, he expressed enthusiasm for the agreement. Bridenstine also welcomed the news. Trudeau’s announcement also said the Canadian Space Agency is investing in a Lunar Exploration Accelerator Program to assist Canadian businesses and academic institutions use and test technologies in orbit around the Moon and on the surface, as well as initiating a “junior astronauts” program.